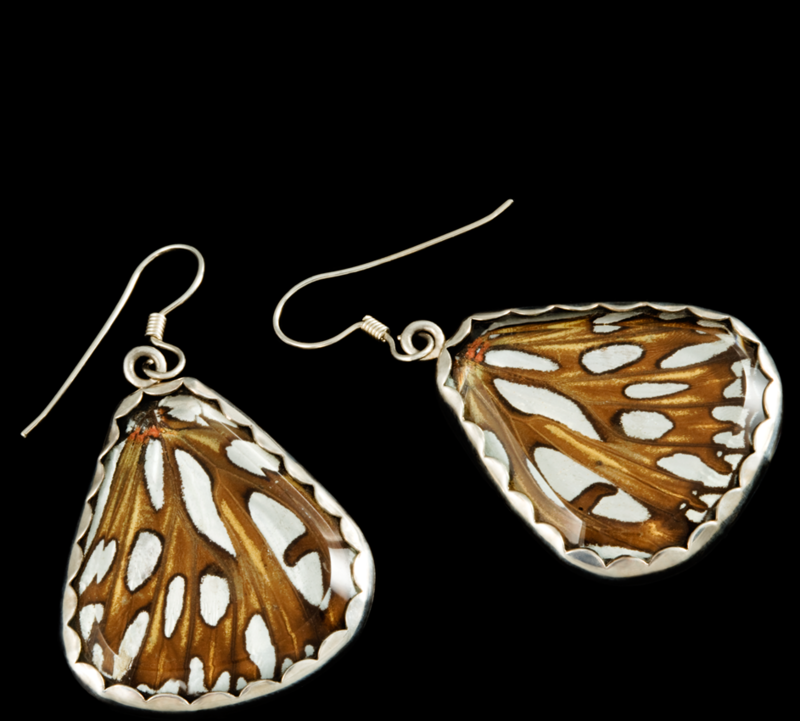 Sterling silver earrings with scalloped bezel with genuine Gulf Fritillary butterfly wings, set under hand cut and beveled clear glass. Wings have distinct markings which resemble actual silver. Genus and species engraved on reverse.